Shrewsbury? Where’s that? You ask. Well, it’s a small town in the wilderness between North and South England. Yes that’s right, people do actually live in the Midlands and one of those people is me. 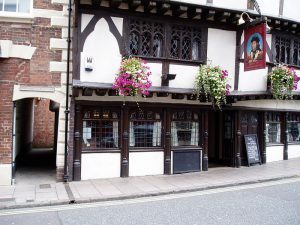 Shrewsbury is the county town of Shropshire and sits only 8 miles from the Welsh border; tucked inside the loop of the River Severn like a knock off EastEnders. But if all that means nothing to you, then the easiest description is that it is about an hour away from Birmingham. What do we have to rave about? Well not much… our only real claim to fame is that Charles Darwin was born in this sleepy little town. That’s right, the guy who came up with that whole evolution theory. I guess all towns have to cling onto any small thread of glory they can if it means it will put them on the map, and the strings my hometown has attached itself to is that of the great father of evolution. Planted all around the town are statues, sculptures and buildings dedicated to Mr. Darwin and his impressive legacy, so if you want to fill your day with a Darwin-style Easter egg hunt then there’s plenty to do. 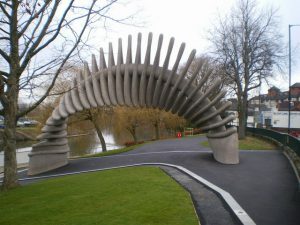 A must-see on the list should be the most controversial of sculptures which came to the town in 2009 when the council exceeded £1 million to build ‘The Quantum Leap’ on the river bank. Everyone should at some point go marvel at the sculpture, and how the hell it ended up costing £1 million! Even the Angel of the North was cheaper than this. 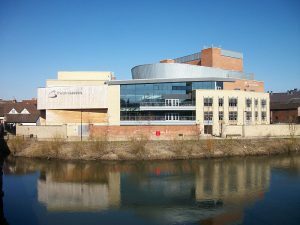 Across the River from the Quantum Leap is an impressive stylised building resembling a ship that is the Theatre Severn. The interior is just as lovely and I would highly recommend watching a theatre performance if you have the time. The local culture of performing arts in Shropshire is actually quite impressive and even amateur performances are really worth your time and money. I recently went to watch an outdoor performance of William Shakespeare’s A Midsummer Night’s Dream at Attingham Park where there was no stage, no lighting, no seats and only five people performing the entire play, and it was honestly one of the most entertaining evenings I’ve had in a while. Also, go visit Attingham Park if you have the time, it’s a really lovely national trust site. The highlight of a nice sunny day has to be a walk around our central in town greenery known to all as The Quarry. The Quarry is our town’s main venue for all things social, which varies from food festivals to concerts and all things in-between. The highlight of the year is our world famous flower show – yes that’s how cute we are, we have a flower show. People come from all across the globe for our yearly celebration and it definitely makes for a great weekend out, especially because it ends with a bang – literally, because of the world class fireworks. 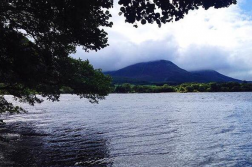 So if you’re free on the 11th-12th August then why not come along? You can’t come to Shropshire without going on a pub crawl, that’s just insulting. Everyone loves our Shropshire pubs, they eptiomise what it means to be British and you just can’t beat them. The best part I think is the names; The Boathouse, The Corbet Arms, The Armoury, The Nags Head, The Old Post Office and The Loggerheads, just to name a mere few. Because it’s such a small town there’s practically a pub on every street so you never have to walk far between places on your crawl. 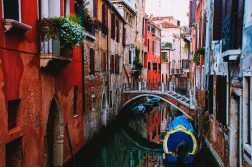 Something a little more off the beaten track for your usual trip itinerary, but regardless, it might be right up your alley. 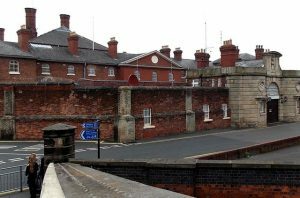 The HM Dana Prison is one the oldest prisons in the world, the current building was built in 1868 in the Victorian era but had been a prison since 1793. Since its closure in 2013 the prison currently offers Jailhouse Tours which are run by ex-prison officers who share knowledge of their personal experience and the prison’s long history. They run guided tours, themed events, educational days, seasonal events and even overnight horror tours. Over the years the prison has gathered quite the traumatic history. 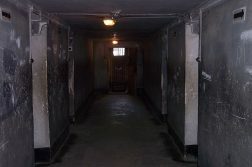 TV shows, like Most Haunted, have featured episodes on the prison since it was believed to be haunted by many who lived and worked there. So if explore the paranormal excites you then maybe the Dana should be on your list of activities when you come visit this sleepy, little, haunted town.